When we have policies trample on people's rights, and people go to courts seeking redress, what should the courts do, Prime Minister? Governments have the money to subsidise the building of new cities, malls and multiplexes. But none for building storage space for the nation's foodgrain. As Prime Minister Dr. Manmohan Singh takes his leave awash in platitudes about his personal integrity, I can’t help but remember this open letter by P. Sainath to Dr. Singh from four years ago. ~ Admin. A lesser man would have copped out, blaming it all on the opposition, the weather or the mysterious (but ultimately beneficial) workings of the Market. You don’t do that. You clearly locate it in policy. And policies are far more deliberate, far less abstract than markets. It was, after all, a policy decision to spend almost nothing for years on building additional public storage space for foodgrain. Governments have the money to subsidise the building of new cities, malls and multiplexes across the country. By “incentivising” private builders and developers. But none for building storage space for the nation’s foodgrain. More so, since your latest policies “incentivise” things further for the rentiers. Pranabda’s budget speech (Point 49) hiked the guaranteed period of space hire from five to seven years. Actually, it’s been upped to 10 years since then. (A word of caution from a well-wisher: the reports of that expensive MNC consulting firm have been the kiss of death for any government dumb enough to act on them. Ask Mr. Naidu in Andhra Pradesh.) There was always the option of building foodgrain storage space on government-owned land. As Chhattisgarh is now doing. It would cost much less in the long run and curb profiteering from our need to tackle hunger. These being policy matters, that’s just a suggestion, not an order. Meanwhile, a Bharatiya Janata Party (BJP) spokesperson has all but admitted that the National Democratic Alliance (NDA) government had paid the price on this very issue. A wipe-out at the 2004 polls. Amazing what a consensus there is on all these being policy matters. Even the Supreme Court seems to agree. The farmers who have been committing suicide in tens of thousands also agree with you totally, Prime Minister. They know it was policies, not the law courts, which drove them to take their lives. That’s why several who left behind suicide notes addressed those to you, to the finance minister, or our own beloved Maharashtra chief minister (busy, even as we speak, Saving the Tiger in a TV studio). Ever read any of these letters, Dr. Singh? 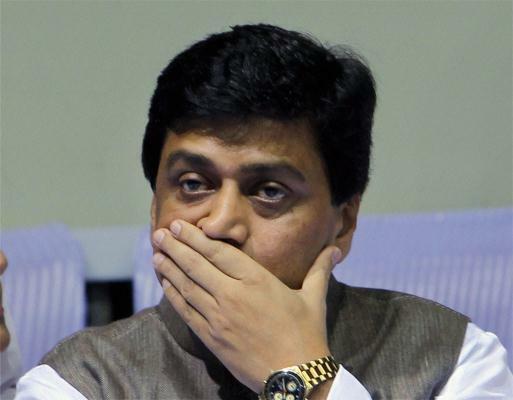 Has the government of Maharashtra, led by your own party, ever given you a single one of them? They speak of debt, credit, rising input costs and falling prices. Of governments that do not hear their cries. These are not even addressed to their families, but to you, Dr. Singh, and your colleagues. Yes, they understood the role of policy in their misery — and therefore addressed the authors of those policies in their notes. Ramakrishna Lonkar of Wardha put it simply in his suicide note after your historic visit to Vidarbha in 2006. He said: “After the Prime Minister’s visit and announcements of a fresh crop loan, I thought I could live again.” But “I was shown no respect” at the bank, where nothing had changed. Ramachandra Raut of Washim was so keen to be taken seriously by his Prime Minister, that he not only addressed his suicide note to you, the President and your colleagues, he even recorded it on Rs. 100 non-judicial stamped paper. He was, by his lights, trying to make his protest ‘legal.’ Rameshwar Kuchankar’s suicide note in Yavatmal blamed the procurement price of cotton for the farmers’ distress. Even those letters not addressed to you, speak of policies. Like Sahebrao Adhao’s farewell note which paints a Dickensian portrait of usury in the Akola-Amravati belt. All highlighted policy. And how right they were! Recent revelations (see TheHindu, August 13, 2010), show us that almost half the total “agricultural credit” in the state of Maharashtra in 2008 was disbursed not by rural banks, but by urban and metropolitan bank branches. Over 42 per cent of it in the financial farming-heartland of Mumbai alone. (Sure, the city has large-scale farming, but of a different kind — it cultivates contracts.) A handful of big corporations seem to hog much of this “agricultural credit.” No wonder Lonkar, Raut et al found it so hard to access credit. You can’t have a ‘level playing field’ (to borrow one of your favourite phrases) with billionaires. While these are outflows of policy, the exclusive realm of your government, I confess to being a little flummoxed. The astounding price rise of several years is surely the well-foreseen outcome of government policies? This year, as you lectured world leaders in Toronto on inclusive growth, your government decontrolled petrol prices fully and diesel partially, while hiking kerosene prices, too. What too, does the Supreme Court do when the government’s 2006 promise of a new Below Poverty Line (BPL) Survey to be completed before the start of the Eleventh Plan never materialises? What do they or anyone do when the government sets grain allocations to the states based on poverty estimates of year 2000 based on the 1991 Census. Twenty-year-old data which result in 70 million fewer people getting BPL/Antyodaya Anna Yojana (AAY) grain than should be the case. I humbly suggest that while the Supreme Court copes with those dilemmas, we reconsider your policies. I would also be most grateful if you could forward a copy of this letter to your Food and Agriculture Minister if you remember who he is and where he is.